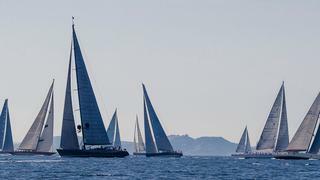 With just one week until the start of the Loro Piana Superyacht Regatta(2-6 June), an impressive fleet are headed to Porto Cervo, home of the Yacht Club Costa Smeralda for four days of thrilling superyacht competition. The event has fast become a popular fixture on the Mediterranean racing circuit. A diverse fleet of competitors represent the cream of international superyacht design and construction, hailing from some of the world’s leading shipyards including Baltic, Oyster Yachts, Perini Navi and Southern Wind Shipyard. Set against Sardinia’s breathtaking coastline, the region offers idyllic sailing conditions that continue to attract a diverse range of cruisers and high performance yachts. 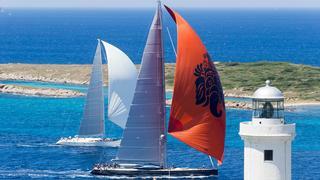 Combining this backdrop with the new ORCsy handicap, which proved so popular at the Loro Piana Caribbean Superyacht Regatta and St Barths Bucket Regatta, the Regatta promises us four days of close and competitive racing to enjoy. The elite fleet of yachts include: Blues (30m, Southern Winds), Cape Arrow (30.3m, Southern Wind), Clan VIII (45m, Perini Navi), Gaia (30.6m, Spirit Yachts), Ganesha (46m, Vitters Shipyard), Gigreca (24m, Admiral), Grande Orazio (25m, Southern Wind), Inoui (33.4m, Green Marine / Vitters Shipyard), Maegan (25.2m, Oyster Yachts), Marie (55m, Vitters Shipyard), My Song (25.4m, Cookson), Nahita(24m, Wally), Ohana (49.7m, Fitzroy), Saudade (45.19m, Wally), Song of the Sea (34.1m, Nautor's Swan) and WinWin (33m, Baltic). The competitive race schedule is complemented by a first-class social programme. Exclusive events for owners and their guests at the YCCS Clubhouse include the Welcome Cocktail and the Loro Piana Owners’ Dinner where guests will experience the world's finest dining courtesy of the Michelin 3 star chef Massimiliano Alajmo. The beautiful Phi Beach will host the famous Sunset Beach Party which will see guests dancing under the stars. After each day of racing, participants are invited to enjoy some after race refreshments in the regatta village courtesy of Pantaenius. 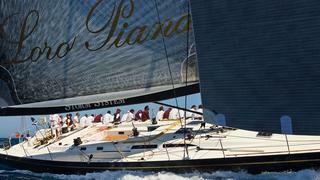 The event welcomes sailing yachts with an LOA over 80ft. Registration is recommended without delay to secure a place in the fleet and berth at YCCS Marina.